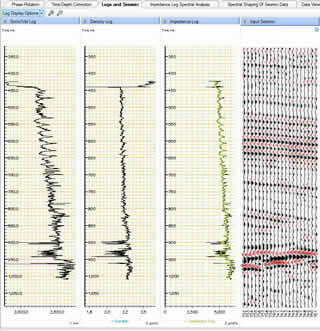 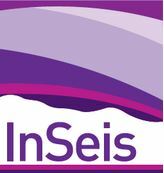 Coloured Inversion is a fast and lightweight tool that enables interpreters to quickly generate a relative acoustic impedance data type from the reflection seismic data for the purpose of more accurate, more confident seismic interpretation. 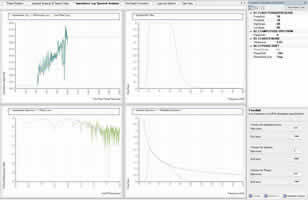 Coloured inversion is a robust method for “quick-look” inversion, which has been shown to produce results comparable with the more involved and computationally intensive “sparse-spike” method. 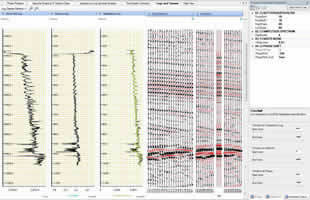 A matching filter is designed and the seismic traces are processed to match the coloration of the acoustic log data. 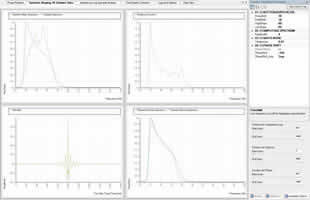 It honours well control giving more accuracy than recursive inversion or integration for example, and does not require an explicit wavelet. 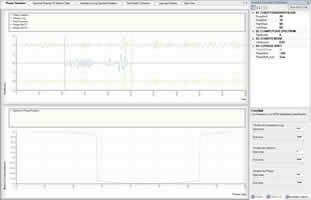 Coloured Inversion enhances the seismic signal and aids the auto-picker. 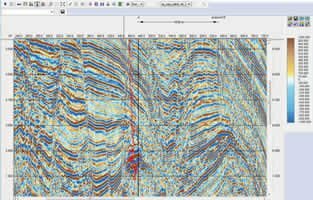 Often it can enhance features such as bed resolution, minor faulting, fracture zones and discontinuities due to channels and possibly the presence of hydrocarbons.